From diagnosis to treatment, our team of genitourinary cancer specialists utilize the latest technology and treatment protocols with a continued goal of positive outcomes and quality of life for each and every patient. Thank you for entrusting your health in our care. If you or a loved one is dealing with a diagnosis of kidney cancer, our comprehensive team of genitourinary cancer specialists at West Cancer Center & Research Institute is here to surround you with the latest treatments and technology to design a personalized treatment plan specific for your disease. Our goal is to also provide resources and information to better help you understand and manage your kidney cancer. Kidney cancer, also called renal cancer, is a disease in which kidney cells become malignant (cancerous) and grow out of control, forming a tumor. Almost all kidney cancers first appear in the lining of tiny tubes (tubules) in the kidney. This type of kidney cancer is called renal cell carcinoma. The good news is that most of kidney cancers are found before they spread (metastasize) to distant organs. And cancers caught early are easier to treat successfully. However, these tumors can grow to be quite large before they are detected. The tumor is 7 centimeters or smaller and is found in the kidney only. cancer has spread to blood vessels in or near the kidney (renal vein or vena cava), to the fat around the structures in the kidney that collect urine, or to the layer of fatty tissue around the kidney. Cancer may have spread to nearby lymph nodes. Cancer has spread to other parts of the body, such as the bones, liver, lungs, brain, adrenal glands, or distant lymph nodes. If you are experiencing any of these symptoms, we urge you to speak to your provider as soon as possible for further examination. This is the process by which a your physician will investigate physical signs of the body for signs of disease. Your kidney cancer treatment plan will vary depending on multiple factors, including but not limited to your stage of diagnosis, as well as the location of your cancer. Your dedicated team of cancer experts will discuss your treatment options and plan with you, allowing you and your loved ones to consider all possible treatment options for your diagnosis. A drug therapy designed to kill or slow the growth of cancer cells, chemotherapy may be used with radiation therapy and surgery to treat your cancer. A clinical trial may be a treatment option for your specific disease, ask you provider if this is an option for you. A surgical procedure where the portion of the kidney that contains the tumor is removed. 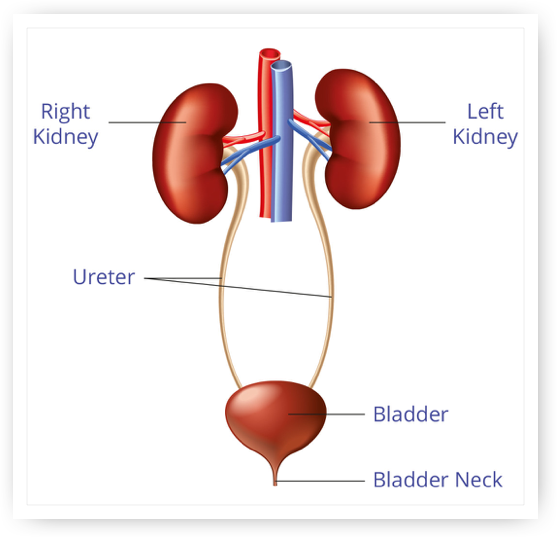 This surgical method is used based on the size of the tumor and/or if both of the patient’s kidneys are affected or the patient only has one kidney. A surgical procedure where the entire kidney, the tissue surrounding it, the adrenal gland, and affected lymph nodes are removed. A surgical procedure where the entire kidney is removed. Often used with chemotherapy, radiation therapy is the use of high-powered radiation beams to kill cancer cells. To learn more Radiation Oncology and the types of radiation therapies offered at West Cancer Center, click here. Click here if you would like to schedule an appointment or refer a patient to West Cancer Center.